To navigate this newsletter scroll down for a complete look or click below on the article of interest. Many of us may have been called a Pip during our lifetimes – but probably not in the context used recently by the BSF! On June 14th, during a press conference held at the Germanna College Science and Technology Center, the BSF announced the Partners in Preservation (PIP) initiative. In a few words, the initiative is designed to bring citizens, companies, businesses and industries together into a coalition to help preserve the battlefield at Brandy Station and the Graffiti House. The goal of the campaign is to raise $3 million so that the money can be used to preserve key battlefield locations on/near Fleetwood Hill as well as provide key funding for the preservation/restoration of the Graffiti House. Due to a convergence of events, some fortunate and some not so fortunate, opportunities and necessities have arisen which must be addressed immediately. The PIP initiative is meant to provide the funding for that exact purpose! Relative to the battlefield, we have been in discussion with certain landowners, or their representatives, who control significant lands on/near the southern portion of Fleetwood Hill. We have been told that if we can raise the “appropriate” funding, some/all of these lands may be capable of being bought. The amount required for the land purchase is high (hence the multimillion dollar target for the campaign), but is achievable. Each tract of target lands has never been offered for sale within the last twenty years and may not be available for another twenty! Our time in now – or the opportunity may never come again! Relative to the Graffiti House, those of you who have visited know that the house contains absolutely unique graffiti artifacts from the Civil War period. You also know that the graffiti walls are in a high state of deterioration and require immediate preservation activities!. The BSF has received an appropriation (which we are now fund raising to match) to provide for the funding for a thorough evaluation of the total House by professional historical architectural preservationists. This evaluation will be completed by early fall and is certain to recommend changes that will require a significant budget to accomplish. Graffiti House monies raised through the PIP will be used to create the initial working capital to begin the restoration process. Please check out our website at www.brandystationfoundation.com for more information on the initiative and how you could best participate. The Commonwealth of Virginia, Department of Historic Resources, has awarded a $15,000 grant to the Brandy Station Foundation. Volunteers are working diligently to raise the required matching funds. To date $12,000 has been raised to restore the Graffiti House. If you would like to contribute to the project, please send a check to BSF and write “Graffiti House Restoration” in the memo line. Kayla Pelkey, a recent graduate of Culpeper High School, has been helping to raise these funds. As part of her Leadership Career Academy Senior project, Kayla sent letters asking the descendants of soldiers who have signed the Graffiti House “Hall of Honor” to support the restoration project. In addition, Kayla spoke at the recent “Partner’s In Preservation” press conference, asking those in attendance to send their donations to support the project. Many thanks Kayla! Once these funds are matched, the Foundation will have an Architectural Report and a Graffiti Conservation Report prepared. These reports will contain an evaluation and analysis of the current conditions of all aspects of the interior and exterior construction of the Graffiti House as well as recommendations relative to the solution of any problems discovered by the analysis. Recommendations will be accompanied by appropriate cost estimates and necessary time frames for problem solution. Graffiti on the Wall: "June 8, 1863"
That's all it says. But it was a significant day in the Confederate Calvary's history. On that day, none other than Robert E. Lee, the General in charge of the Army of Northern Virginia, reviewed JEB Stuart's troopers. It didn't have the glamour or the pageantry as of some of Stuart’s earlier reviews, but it still must have been a spectacular event to witness. Most likely, the troopers went up at or near dawn to prepare for the day. They spent the early morning cleaning and brushing the horses, preparing their uniforms and cooking breakfast. Then it was off to the review field. Of course, it was John Miner Botts’ farm, Auburn; the same fields that Stuart's had used for previous reviews. Botts, a Unionist, had spent time in the jails of Richmond, for his convictions; and Stuart took every opportunity to tear up the farm. For the troopers of the Confederate Calvary, it was typical hurry up and wait. As the morning progressed they arrived on the field around 8 a.m. and aligned themselves Tradition holds that the field is aligned senior brigadier first (Brigadier general Wade Hampton) down to the junior brigadier (Brigadier General ‘Grumble’ Jones). Stuart placed himself in center front of the assembly, looking up and down the line to ensure all was in order. He did however, notice Preston Chew’s (a horse artillery battery commander) First Sergeant, mounted on a mule, with long, floppy ears. You cannot have a First Sergeant, on a mule, with long, floppy ears, be inspected by Robert E. Lee. The Sergeant and his mule were pulled from the ranks. 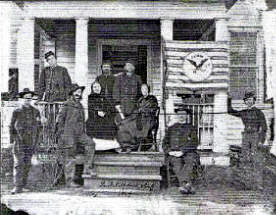 Finally, Lee, and the remainder of the entourage which included Lt. General James Longstreet, other general officers from Longstreet infantry corps and officers from Stuart’s and Lee’s staff were also part of the official party arrived at the fields eastern end along the Orange and Alexandria railroad. Hours later it was over. As with all reviews, the reviewing officer passed down in front of all the troopers lined up in the ranks to deep and around their rear back, up the same path he came. Positioning themselves at the center of the field, Lee, Stuart and their staffs watched regiment after regiment of the South's finest cavalry pass by at a walk, a then, at a trot. This should have been followed by a gallop, but Lee forbade it, not wanting to tire the horses and men. The horse artillery, under the command of Robert Beckham was also there, but their activities were more subdued than on previous events. Again, Lee was showing concern and prohibited the artillerists from exercising their guns. Lee departed. 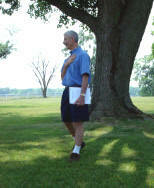 Stuart too, heading to his campsite on Fleetwood Heights near the Miller House. The horse artillery traveled about 8 miles along the Beverly Ford Road and camped in preparation of crossing the Hazel and the Rappahannock River's the next day. Wade Hampton's South Carolinians camped between the town of Stevensburg and Brandy Station. 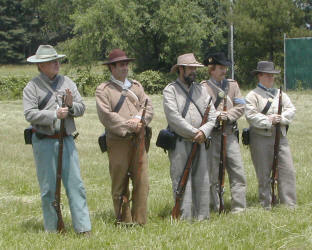 Other regiments would camp in the surrounding fields between Culpeper and the Rappahannock. It is probable that members of Wade Hampton's command spent the night in the Graffiti House. One of his boys from South Carolina picked up a piece of charcoal from the fireplace, and on the wall looking towards those fields where he rode and was reviewed by his commander in chief, wrote "June 8, 1863". His notation on the wall is all we have of this anonymous trooper, who the next day would wake to find him and his comrades embroiled in the largest Calvary battle in the Civil War. What was that day like for him? Did he survive? Was he wounded? We will never know. You will find the graffiti “June 8, 1863” near the window in the large front room. 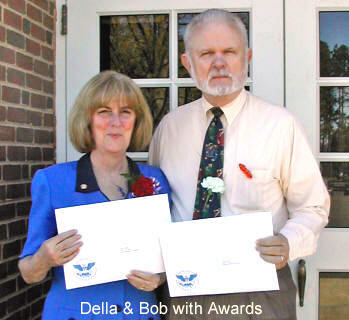 On April 20, 2007, Brandy Station Volunteers, Ms. Della Edrington and Mr. Bob Luddy, were honored by the President’s Council on Service and Civic Participation. In a ceremony co-sponsored by the Piedmont United Way Volunteer Center and the Rappahannock-Rapidan Community Services Board, both were recognized for their 500 or more hours of community service over the last twelve months. Thanks Della and Bob for your past accomplishments! The Foundation is very pleased to have two different scouts from Culpeper BSA Troop 196 doing projects on the BSF lands. Each scout is working on his Eagle Project, which is the final step in obtaining the highest level in the Boy Scouts of America. One young man (Jeri Rij) is seeking assistance in obtaining mulch to better define the path leading to the St. James Church Historical Site. The other Scout (Gannon Blanton) is taking on the similar job of better defining and mulching the path along the river on the Kelly’s Ford acreage. 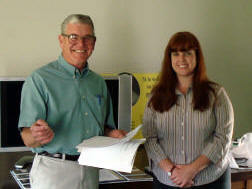 Each project requires a minimum of 100 hours of work by the scout and others that he would supervise. He makes a plan of the project, which is presented to his leaders; he then must obtain materials, aid in and supervise the labor, and must see the project through to completion. This exercise in leadership and community service is the crowning of a true Scouting education. We look forward to showing you pictures of the completed projects in the next issue. If you wish to help these scouts with donations in money or in kind, please connect the Graffiti House. We are honored that these bright young men have chosen to benefit the Brandy Station Foundation and the Culpeper community with their Eagle Projects. 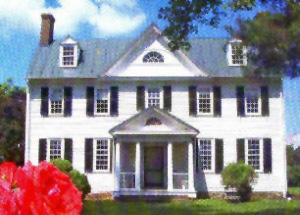 On October 6, 2007, the Brandy Station Foundation will hold its 2007 Fall Picnic at the Rose Hill mansion located on Batna Road, just off Route 3 in Stevensburg, Virginia. The early 1800’s built home has a lengthy history and was the 1863-4 winter headquarters for Union General Judson Kilpatrick, This event will the one of the first, if not the first event, held at the home since its lengthy and successful restoration. Come prepared for a fine afternoon of dining and enjoyment. Food will be provided the Gentry Catering, living history re-enactors will be on the grounds, period music and crafts will be also be taking place. Tours of the Rose Hill mansion will also be given. Additionally, the Rose Hill restoration team leader, Mr. Walter Bell will give a a special talk on the history of Rose Hill. For additional information call Ms. Helen Geisler at 540-399-1637. For reservations, please send your check for $25 to the Brandy Station Foundation, P.O. Box 165, Brandy Station, Virginia 22714. Please note, children 12 and under are free of charge. 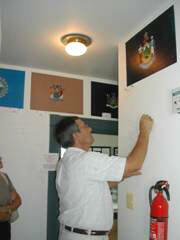 On April 22, 2007 the Graffiti House was visited by Wayne N. Blattner. Mr. Blattner came to visit the Brandy Station battlefield, but he stayed to sign the WALL OF HONOR in remembrance of his great-grandfather, Trooper Enos Vaughn who rode with the 3rd Pennsylvania Cavalry. 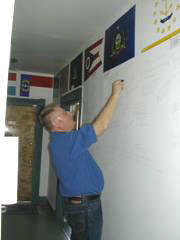 Also visiting in April was Jerry Shea who signed the wall in honor of his great-great-grandfather Pvt. John Gallagher of Company K, 1st Maine. The Brandy Station Foundation would like to thank all of you who have already purchased chimney bricks from the Graffiti House to provide funding to match the Virginia Legislature’s appropriation. However, we are still short $3,000!! Once again the BSF must rely on your generosity to achieve the goal of preserving and restoring the Graffiti House. Please help! Send a check to the Brandy Station Foundation and note “Save the Graffiti House” in the memo line or - Buy a brick! The Graffiti House still has available for purchase a limited amount of historic bricks from the original fireplace that provided the writing materials for the House’s graffiti. Each brick can be purchased for $500 and the majority of that cost is tax deductible. Please support the Graffiti house and protect history! These individuals have made significant contributions, whether by donation and/or service to the Foundation during the previous calendar quarter. We are very grateful for our friends and wish to honor them here! Note: To print the order form in Microsoft Explorer, highlight the area to be printed then click on "File" on the command line at the top left of the screen then click on "Print". In the print box click on "Selection" under "Print Range" and then click on "OK". Other browsers may have different but equivalent commands. June 9th. 2007 marked the 144th anniversary of the Battle of Brandy Station and that significance was not lost upon the many, many visitors to the Graffiti House that day (and weekend). 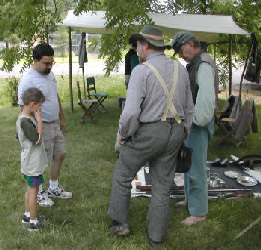 Nearly 150 people attended living history demonstrations conducted by the 17th Virginia Infantry – Fairfax Rifles as well as attended tours conducted by the Graffiti House staff, notably Mike Block, Della Edrington, Bob Luddy, and Bob and Shirley Pfile. The BSF would also like to thank the members of the Fairfax Rifles for their tremendous support and educational activities with the many children who attended the weekend’s activities. Road Trip! Richard Deardoff travels to Georgia! Recently Richard returned from the annual meeting of the Longstreet Society in Gainesville, Georgia where the restoration of a surviving section Longstreet’s Piedmont Hotel was unveiled. Like the Graffiti House, this structure was in need of massive repair when it was “rediscovered” in the early 90’s. The day after the Longstreet Society purchased it the roof collapsed! The building included the nine remaining rooms of what had been a massive 95 room hotel built by Lee’s Old War Horse in the 1870’s. While Woodrow Wilson was practicing law in Georgia he and his wife were frequent quests and one of his children was born there. Union General Dan Sickles would also come to reminisce with his old adversary. However, time and a 1911 tornado took their toll and the remaining section was slated for oblivion when the Longstreet Society stepped in. For ten years membership dues and an annual seminar hosted in various cities associated with Longstreet helped to produce sufficient money to pay the mortgage, but little more. This past year retired federal judge Bill Norton stepped in and established the Gainesville Historic Preservation Trust and ownership of the Piedmont Hotel was transferred from the Longstreet Society to this Trust. This move has made all the difference in the world! When Richard first saw the Piedmont a decade ago, it looked quite like the 1993 photo of the Graffiti House. Now it has a new foundation, roof, siding, floors, plumbing, etc. and is ready to be turned into a museum to General Longstreet and to provide other community services. The Piedmont is not on the List of Historic Places because such a large amount of it is gone. However, if you are interested, more information may be obtained on the web at www.longstreet.org/about.html It is well worth a look! 2007 Seminar Series Starts With A Bang!!! Our first lecturer for this year’s series was Stacy Humphreys and her topic was Artillery and its significance to the Battle of Brandy Station and the Civil War! Stacy graduated from West Virginia University in 2000 with a BA in History and in 2002 with a MS in History with emphasis on 19th Century American history. She is currently posted at Fredericksburg and Spotsylvania National Military Park thus fulfilling a life- long dream of working at a Civil War park. She provides tours and special programs to visitors and groups and is the Fredericksburg Battlefield Visitors Center Supervisor, assistant Education Coordinator, and Historic Weapons Supervisor where she specializes in artillery. 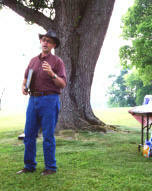 Bob Lapidus presented the second of the 2007 Brandy Station Sunday Seminars. Thanks to the gracious hospitality of Mr. and Mrs. Bill Barron, Bob’s talk about John Minor Botts was held at Auburn, the home of Mr. Botts and now the home of the Barron's. Mr. Lapidus wrote his masters thesis on John Minor Botts several years ago and has maintained an interest in this fascinating Unionist living in the midst of the Confederacy. We were not only able to listen to Bob Lapidus’s very interesting talk, but we were also enlightened by Bill Barron’s discussion of the history of Auburn. Our thanks to both speakers for an informative afternoon. 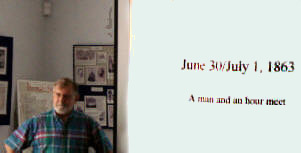 June 24: The Devils to Pay presented by John Tole. An audience of more than 25 people met at the Graffiti House on Sunday, June 24 to hear John Tole give a short history of one of the heroes of both Gettysburg and Brandy Station, General John Buford. From Buford’s early military career out west to his courageous stand at Gettysburg, his story was one of coolness under fire as well as sharp assessment of tactical situations. John Tole, well known as one half of Evergreen Shade, presented a well researched and interesting perspective of this little known soldier. General John Buford by Edward G. Longacre (ISBN 0-306-81274-6). If you have not already done so, we'd love to have you as a member. Click here, then print the application form. Fill out the form and send it today with your tax deductible donation. We depend on your support! !